We're turning two! 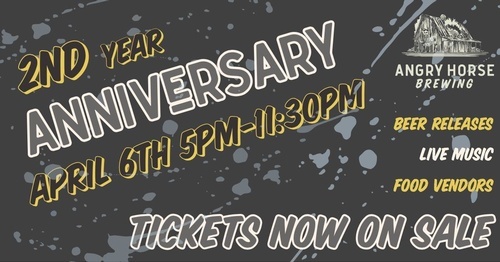 Join us for an anniversary celebration, we're turning the parking lot into a beer garden. Live music, food vendors, and beer specials all night long. We'll be debuting our long awaited Anniversary Barrel Aged Imperial Porter, Long Live the King and may have a few more surprise releases in store! Early bird tickets run through March 28th or until they sell out! This is a family friendly event. Kids get in free!